One of the hardest things for me to cope with to when I first moved to Louisiana from Yankee Land was how polite people are around here. You might thing something like that would be easy—pleasant even. But it’s not. Coming from a place where it’s more likely for someone to pass gas in an elevator than say, “Good morning,” it can take some getting used to. I try to measure up to the standard, but it doesn’t help when people, upon noticing an uncouth Yankee-type, try to take advantage of my social awkwardness. Here’s a case in point. 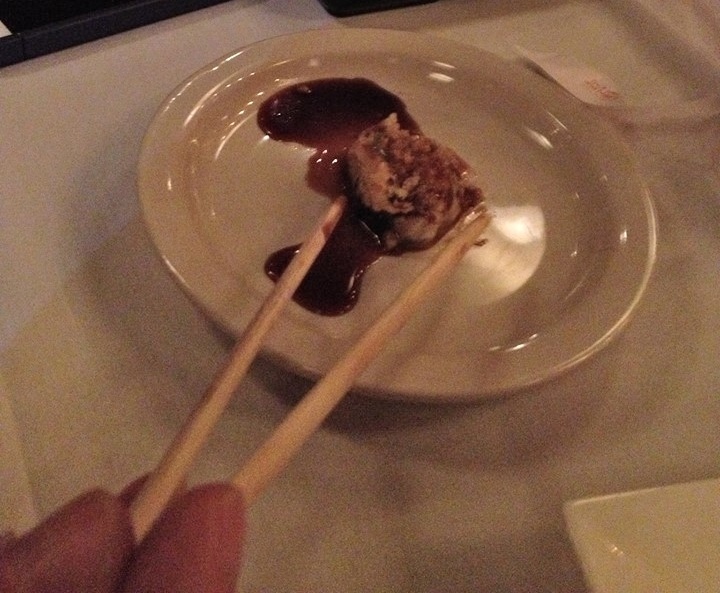 Not long ago, I went with some friends to the new Osaka restaurant here in town, where we shared a sushi appetizer. There was exactly one more piece of sushi than the number of people sharing. If I were in Yankee Land, we’d be arm wrestling over that last piece. Here, however, everyone was too polite to take it, and so there it sat. And though it wasn’t apparent from the conversational tone, I was sure that this lone piece of sushi sitting there in the middle of the table was a source of considerable anxiety for everyone—the proverbial 800-pound tuna in the room. And so I decided to break the tension by suggesting that someone else at the table take it. I reluctantly grabbed it with my chopsticks, at which point one of my friends whipped out her phone and snapped a picture. That fast, my image was on Facebook, in a post suggesting that, as a dinner companion, I rank on about the same level as The Three Stooges. Now my wife won’t even to go out to dinner with me. Another behavior that I had a hard time with is how people always hold doors open for each other. Back in Yankee Land, I wouldn’t dare do that for fear of getting a reaction such as, “What, do you think I’m too feeble to do it myself?” Here, you could do it for some burly guy who, with his bare hands, could reduce the door to toothpicks if he so desired. He’d just smile and thank you for the gesture. But what bothers me most about the practice is when people take it to an extreme, as if they are competing to get their picture taken with the governor as “Gentleman of the Year” or something. For instance, once I was walking down the street, when, down at the other end of the block I saw a man standing at the entrance of a building. Upon noticing me, he immediately pulled the door open and waited. It was like the guy had a spotter up on the third floor. Now, I’m really trying to improve in the area of manners, and so I felt bad that this guy was taking valuable time out of his day to do me a small favor. I didn’t want to keep him waiting. So I quickened my pace, panting under the weight of my knapsack with its laptop computer and enough books to provide a backdrop for a law office ad. I reached the door, managed to wheeze out a weak “thank you” to the man, and went inside. The problem was, I wasn’t even going to that building. My point, kerbey. He wouldn’t happen to be a Yankee, would he? A few month down here in Cajun Country and they’d whip him into shape. Me, I’m a bit older, so it’s taking some time. No, we live in Texas, so it should be in his blood by now. He was distracted by the smell of pepperoni. Do not doubt that he will be whipped into shape. Maybe it’s like learning a new language; after puberty, it’s much, much harder. Yes, in Texas you have the right climate. Thye’re more polite even than Louisianans, except maybe when it comes to football.